It’s hot and blazing, Facebook’s Messenger app has diverse hidden tips and tricks that I’ll say are yet to be discovered. If you are a fan of chess, soccer or basketball then we have some good news for you. You can play a secret chess game accompanied with other games in Facebook Messenger and play head-on with a friend. These messenger games are played through the official facebook Messenger app and moves are made through commands and taps. If this feature interests you, then read on. This tutorial describes everything that you need to know in order to play games on facebook chat. Steps required to play the football game on facebook messenger. 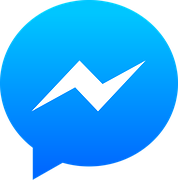 Open your facebook messenger app on your android and select a contact you want to play with. Send a message with the football emoji, you can get the football from your android keyboard smiley drawer. Now after you’ve sent the football emoji as a message, Tap on the football twice. A game will pop up looking like this. To play this game simply tap on the ball continuously and prevent it from falling on the ground below. Steps required to play the basketball game on facebook messenger. Open your messenger app on your android and select a contact you want to play with. Send a message with a basketball emoji, you can get the basketball from your android keyboard smiley drawer. After sending the basketball emoji, tap on the sent basketball emoji twice and a game will pop up on your screen as in the image below. To play this game you have to successfully dunk the basketball into the basket by swiping you right or left thumb upwards. Now, this is high tech, playing chess online just got easier, I think there will be no need for downloading of any online chess application. This hidden feature on facebook messenger gives users the ability to play chess with friends online. all you have to do is follow specific commands to play facebook messenger checkers game. Steps required to play the chess game on facebook messenger. Open your messenger application and select a contact you want to play with. Send a message to the contact you want to play chess with, type this code and send @fbchess play. A chess board should now pop up, to play this game is not quite difficult, you will see alphabets horizontally and numbers vertically. Now you’ve discovered the hidden games on facebook chat (messenger), from soccer to basketball and finally chess, you’d agree with me that there are all cool games that you can use to while away time. kindly share this post with your friends and drop your comments if you encounter any issue while trying to access the games. Very interesting game. I like it. Your writing is fine and gives food for thought. I hope that Ill have a lot more time to read your articles . Regards. I wish you which you often publish new texts and invite you to greet me.